The traditions of the old British school in typography have always attracted designers. Its angular accents and beveled edges of letters will not leave anyone indifferent. 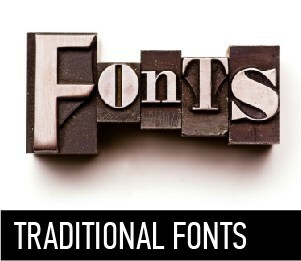 Traditional fonts are often made in the old English or Gothic style. This font will be easy to perform any vintage inscription, or make a sign, or even write a menu in a coffee shop. These fonts are also used in tattoo design.